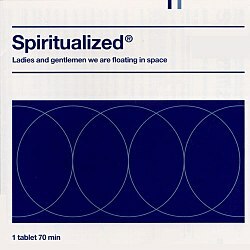 They’ve copied the idea, the packaging, the leaflet, the design – literally, everything except the color, red instead of deep blue – from a record by Spiritualized of 1997 – “Ladies and Gentlemen, we’re floating in space”. Am I the only one old enough to remember this masterpiece? Still I’d be curious to know who’s the psychedelic case handler at the CNC who came up with the idea”. Since our readers’ wishes are our commands, we are launching a quest to find the musically literate CNC official/s who came up with this idea, and we want to interview her/him/them here (about music, copyright and the promotion of competition). The customary beer tasting reward applies to whoever gives us any information that may help us in our quest.